When my MSI U160 died last week I had one question in mind. 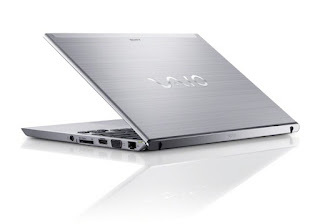 Vaio T or MacBook Air? My budget for a speedy ultrabook was P50K. Vaio T and MacBook Air were within the budget. I love Sony products so Vaio was on top of my list. The only initial problem I had with Vaio T was the stupid design! Its two USB ports are both on the left side of the 'dashboard'. That means you'll be forced to buy a blue tooth mouse or depend on the touchpad if you don't want to deal with cords snaking around your laptop. Well, not unless you're left-handed. And your printer should also be conveniently placed on the left. So I was in Cyberzone tinkering with the touchpad of Vaio. Impressively, among ultrabooks in the market today, Vaio's touchpad comes the closest to the versatility of Mac's. But as I was trying its three-finger and four-finger features, it lost its clickability. I could still hover but I couldn't click. Booo! It then left me with just the 11 inch MacBook Air (64GB). I spent about an hour testing the MacBook Air at iStore. And its smooth multi-functional touchpad made other touchpads feel like sandpaper! My problem with Mac was that I use MS Word extensively at the office and in blogging. I tried using MS Word for Mac but some features in Windows MS Word were either missing or difficult to find. But I knew I would get used to it eventually so software change was not a major problem for me. 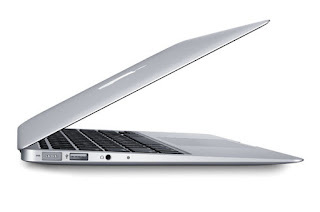 The price of the MacBook Air, however, turned me off! I don’t have a credit card. I use cash whenever I buy something. Mac don’t offer a lower price for a cash purchase of any of their products, which was very disappointing! So I went to Silicon Valley to have more options. Next on my list were HP Folio 13 and the rest of the ultrabooks in the market. What I hate about other ultrabooks is their eagerness to emulate the teardrop shape of MacBook Air. They look flimsy and unoriginal. I wouldn’t want to hear a friend saying “Cool laptop you got there huh! It looks terrifically like a Mac!” . I would have ‘a laptop that looks like a Mac’ for the rest of its operational time. On the other hand, HP and Sony made no attempt, whatsoever, to look like a Mac. Although the keyboard of HP does try to look like the keyboard of the MacBook Pro! What made me decide to get an HP Folio 13 instead?